The creators of Installation 01, the fan created Halo tribute, have released a new cinematic trailer for their game, revealing a lot of classic Halo gameplay loops with familiar weapons and enhanced graphics. Installation 01 is designed to run on a wide range of hardware and OS combinations, coming with less than stellar visuals but exactly what most PC gamers would want from a modern interpretation of classic Halo multiplayer. The game's visuals will continue to be developed over time, through the refinement of the title's gameplay and balance is currently the priority. 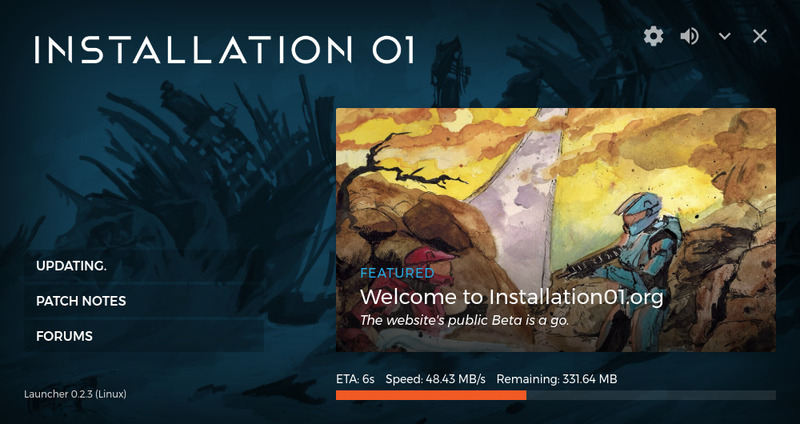 Players of Installation 01 will need to use the game's dedicated launcher and will need to log into the game using a Google account, with the launcher providing automatic updates for the title. This launcher will change over time as the game approaches its final release. At this time Installation 01 has no set release date, though the most recent information on the title will be available on the game's official website. You can join the discussion on Installation 01's cinematic trailer on the OC3D Forums.